Simpsons, Random Note, and All Fall Down signals. This show marked the band’s first headlining performance in Canada. All Things Reconsidered was teased by Trey in Bouncing and Antelope. Antelope also contained a Jean Pierre tease from Trey and Simpsons, Random Note, and All Fall Down signals. YEM contained several Davy Crockett teases in the song and was also sung in the vocal jam. Ride Captain Ride was played for the first time since April 14, 1990 (337 shows). 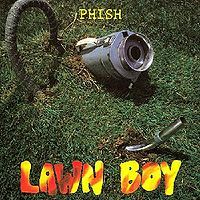 This show is available as an archival release on LivePhish.com. 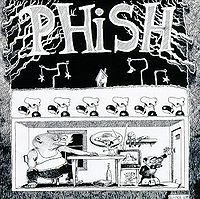 For all those phans who believe 1992 to be completely inessential Phish - I'm looking at you, @waxbanks - this is the ONLY show you'll need to hear to change your mind. 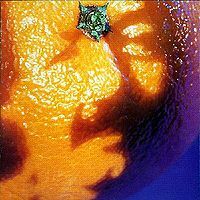 All four 'big jam' songs - Reba, Tweezer, SOAMelt, and YEM - are absolutely destroyed, with the incredible 15-minute shapeshifting light/dark flow of Tweezer and the 'Davy Crocket'-infused YEM as clear highlights. Reba has a tightness and focus to the jam that left my jaw hanging open. These are bookended by many technically complex pieces like Foam, ATR, and Guelah, all flawlessly executed in typical '92 fashion. Fans of the late '90s might find themselves flabbergasted by how fast Trey's fingers seem to move around the fretboard. You know how people talk about Fall '96 as the proto-funk period, where you can hear the prenatal sounds and instincts and atmosphere of 1997 start to creep into the music? Well, this show is proto-'93. You get a whiff the zany energy that would later realize itself in shows like the Murat and Tinley Park the following year. Great sound on the spreadsheet SBD, taboot. I was at this show. It was my first show. It was 23 years ago today. I'm giving it a 5 because it rocked my world. I haven't listened to the show in over 20 years so I'm pulling from memory of being there experiencing it live, and seeing a band I'd been anticipating for a year. The Spectrum was a tiny club in Toronto. I don't know what the capacity was but it seemed in the lower half of the hundreds. Really really small. I saw only 3 shows in such small venues so it skews my rating. Even a bad show in an intimate environment like that deserves a high score if you were there IMO. I lived around 40 minutes from downtown and I was super excited Phish was coming to Canada and basically showing up in my backyard. It was my first time and I was hyped! It was a cold wet night in Toronto. I went with my one Dead touring friend who also knew Phish. All my other Deadhead friends still shunned Phish at the time and rolled their eyes when I brought them up. Josh and I were more into the music geekery of the Dead than the party or the scene so we took to Phish like fish finding water. 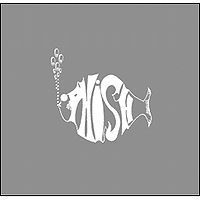 We had been voraciously gathering, trading, and sharing Phish shows for over a year at that point and although we often drove around the North-East to hit Dead shows we hadn't made that sort of effort yet for Phish. SOAM and YEM were already, remained, and still are my favorite live Phish songs so getting them both that night was huge. I remember a blazing fast Sparkle, Reba, and Poor Heart and having a blast trying to sing along to each (laughing out loud through it all). I remember hearing and participating in all the signals in Antelope and thinking it was super neato. Lots of fun in the second set, but YEM eclipses the other songs for me. I remember hold->brain->hold and thinking it was hilarious, and loving the band even more because that just happened and nothing like that could ever happen at a Dead show. I love the lyrics in Squirming Coil and I remember a huge wave of emotion when it started. And the encore, well that tune has been a long time favorite so hearing them sing it cemented my appreciation and support for this band. 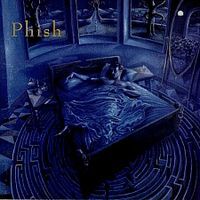 It was like an allegory for what Phish meant to me: "Ride, captain ride Upon your mystery ship, On your way to a world THAT OTHERS MIGHT HAVE MISSED!". Great night. The start of something wonderful for me. I do love this band and I'm stoked they're still killing it. This is the only show from 1992 that I consider essential in the grand scheme of things. I feel they didn't really fully developed their listening skills until sometime in the second half of their Spring '94 tour. I can't fully articulate what the difference between everything before late Spring '94 (including 8/93) and everything after it, to me, there is just a noticeable difference in energy. It seems to me that after after late Spring '94 they were more easily realizing what they were hearing. That said, I think they were playing really well in '92. I have enjoyed all of the shows I have heard, especially this show, which I think is one of a couple exceptions to my rule. This show is exceptionally well played technically speaking; there are very few flubs or mistakes. When determining how good a show is as a whole, flow is just as important to me as jams. The song selection in this show is stellar and they flow together really well. On top of all that goodness that there is the aforementioned tightness and some really great jams. The jams in this show flow freely and really seem on a different level from other things in 1992. The Tweezer and YEM are top notch and Foam, Melt, Antelope, and Maze are well above average. All the improvising is just so succinct and purposeful in the this show. I'd recommend this show in a heartbeat! Hidden gem indeed! First headliner in Canada, and twentieth show of fall tour. Excellent recording of an excellent show! Really exceptional for 1992. Good opening Llama right out of the gate. Foam is smoking. Maybe a little wavering while they are getting settled in, but good overall. Sparkle was solid. I'm surprised to hear Cavern this early, but a solid version tonight. Reba is stunningly tight! Really good. Landlady was good. Melt was also super good tonight. Poor Heart had some cut parts early on from the recording source, but otherwise more good bluegrass. ATR was pretty tight, maybe a little loose at times. Right into a solid Bouncing with many ATR teases. Antelope started off a little shaky, but really recovers well and turns into a sick jam. The groove during the signals is sweet. Great way to end a great first set. A good, solid Maze rips open the second set. Nice Page solo. Glide is well done by Trey until the very end causing a laugh and one of the longest pauses I've ever heard in a Glide to date. The crowd is really pumped tonight as you can hear some guy yelling glide over and over again. Curtain is also smoking tonight. The tempo is a little up there, and Mike is the weak link in an otherwise rocking version. Tweezer has an outstanding jam stretching this one to the fourteen minute mark. Rift's tempo also makes it a little off at times, but nothing really noticeable. Guelah is smooth and the Asse Festival part is spot on. Good grief and a YEM? Well done and a great vocal jam at the end. HYHU leads us into a super silly Brain from Fishman. Great vacuum on the last verse. Coil was good, although Mike had a few weak spots again. Nice Page solo. Golgi is a rocking closer to a really great second set. Rare encore tonight and huge bust out, with Ride Captain Ride. Page and Trey do a great job on this one. Tweeprise rocks as usual. Great show tonight! I can't tell you how great it really is. You must listen to this one! Great show!! Hidden gem! Foam and SOAM are at there early best.